Football, basketball, marathons, sports banquets, youth sports, stadium décor, and much, much more! For which sporting event do you need décor? 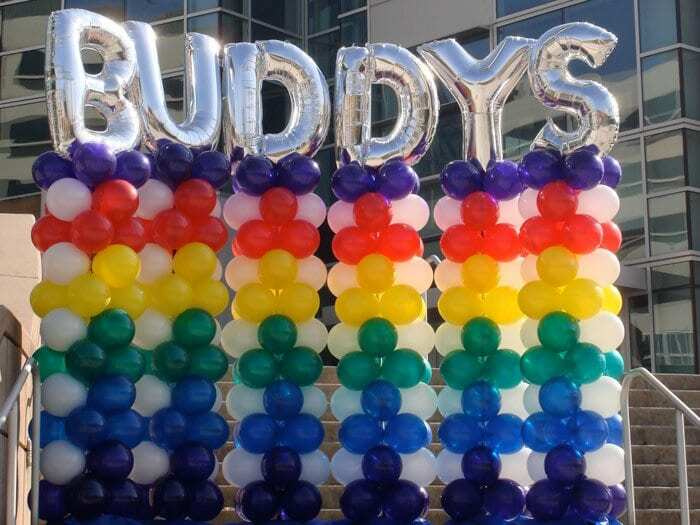 Nothing paints the air with color and/or fills a large space in a more economical manner than balloons, and we are experts in creating long-lasting décor for your special sporting event. Just give us a call at (865) 719-8110 to get your décor under way today. Logo sculpture for Adoption Tour set a fun photo op.